On the occasion of my first post here, I’d like to get a bit heavy, if I may. A significant portion of life involves conflict, minor and otherwise– without it we’d be boring, blissed-out protoplasm. How people handle such conflict often determines their quality of life; those who respond to conflict with grace and graciousness seem to have the inside track. Part of the key to happiness (or, at least, contentment) might be figuring out how those people do it. Evidently I think about this stuff a lot. Internal conflict can certainly be a great motivator where creativity and art are concerned, sure. Brian Eno once opined that culture is “everything we don’t have to do.” I like that. Conflict’s unavoidable, but culture is an optional diversion– one which often springs from conflict. Sometimes the two blur. When that happens, all you can do is hang a lantern on it (or, when in Hollywood, or in media mergers, it’s called SYNERGY). This late-2012 release from Pt. Richmond, California resident Melissa is a true diamond in the rough Bay-area music scene. No overdubs, no Auto-Tune, recorded live-in-the-studio by Melissa’s sweetheart (and guitarist) James DePrato, Fits & Starts is the EP you need to hear in 2013. Call it folk-rock, call it Americana, call it what you will– this is acoustic-based singer-songwriter material that blows right past trends and fashions and is gonna be around for a long, long time. 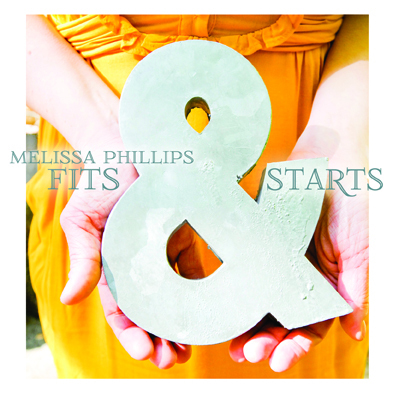 Fits & Starts is distinguished by many fine elements, but the first things I hear are Melissa’s clear soprano voice and super strong songs (“On the Verge” and “Your Heavy Heart” are my personal faves). Anyone who seeks sincere, thoughtful, emotive songwriting, effectively natural production and heartfelt, talented playing is going to find Fits & Starts’ six songs hard to put down. It was written to be performed live and Melissa makes the songs live and breathe onstage, too. My sweetheart Kate spent a good portion of 2008 through 2010 working on writing and recording Faith To Fall’s all-original songs. The album was released digitally and on CD in May, 2010. 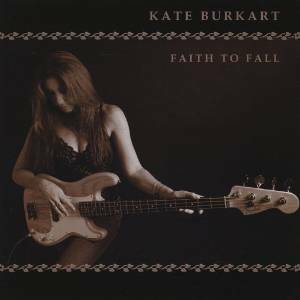 Kate’s producer, Jerry Becker (Train co-writer/guitarist) half-kiddingly called Faith To Fall “soft rock,” during the tracking sessions, but that doesn’t do it justice. Kate loves Lucinda Williams, Bonnie Raitt, Lisa Germano and Emmylou Harris and, while those influences might be discernible, the album is Kate’s own. My favorite songs are “Shades of Gray,” “Witness”, “The High Road” and the title track. Many of the songs detail the breakup of Kate’s previous band, but the dramatic tableau is more Shoot Out The Lights than Rumors, if you know what I’m saying. There’s a directness in Kate’s lyrical approach and a focused momentum to the pacing and arrangements that’s irresistible. It’s obvious from Kate’s writing and singing that she’s lived these songs. If you’re into a bittersweet, sincerely singer-songwriterly take on Americana and folk-rock, tinged with country melancholia, you’re going to love Faith To Fall. There’s also a commercially unavailable instrumental CD version of the album (created for synchronization possibilities) and 24/96 pre-mastered digital files of the original vocal recording. If you’re interested in hearing these, email me. Kate’s beginning work on a new EP with producer James DePrato; watch this space for developments. Both Kate’s and Melissa’s CDs are also available on Amazon (if you insist).